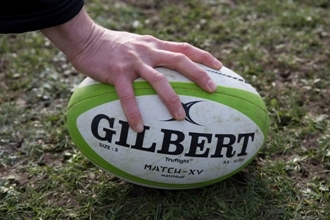 By 1823, Gilbert was already supplying balls to Rugby School when William Webb Ellis first picked up and ran with the ball and the game of Rugby Football began. The fame and reputation of Gilbert balls had grown such that they won medals at the Great Exhibitions in London in 1851 and also in 1862. By now, James Gilbert (1831-1906) had served as an apprentice to William and was “much loved by the past and present Rugbeians of his time”. He was reputed to be “… a wonder of lung strength and blew even the big match balls up tight”. When William Gilbert died in 1877, his nephew James succeeded him and Gilberts were stitching 2,800 balls a year. The sport witnessed major changes in the 1870’s. Rubber bladders were invented by Richard Lindop in Rugby and the modern shape evolved in 1875 to improve handling and passing following the abolition of the rule that a goal had to be kicked to win a game. The sport was formalised with the formation of the first unions, the first international matches were staged and the number of players was reduced from 20 to 15 a side. Under Grays stewardship, Gilbert continues to lead the way in ball technology and design, and to maintain the high standards set by James Gilbert over 180 years ago. “The Virtuo ball delivers the best performance ever from a rugby ball and was used successfully throughout the 2011 World Cup. The Gilbert ball is now used by 8 of the IRB’s top 10 ranked teams and is the ball of choice of the European Champions Cup, European Challenge Cup, Aviva Premiership, Super Rugby, Top 14, Championship Rugby and the majority of elite teams worldwide. The Gilbert Virtuo ball was also used throughout every match of the victorious British and Irish Lions’ 2013 tour to Australia. 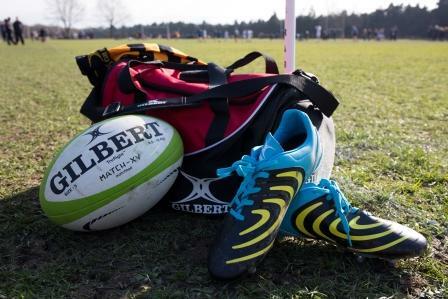 Gilbert was again the Official and Exclusive ball supplier to the Rugby World Cup after the announcement of an unparalleled deal whereby Gilbert were awarded the ball supplier rights to both the 2011 and 2015 Rugby World Cup with 2015 being Gilbert’s 6th consecutive tournament.